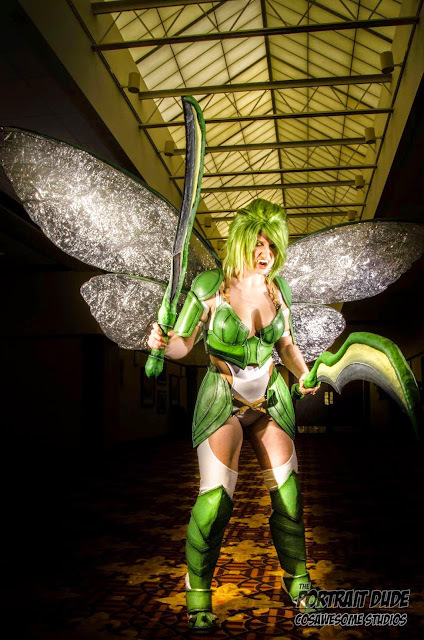 Wonder how Termina Cosplay made those spectacular Scyther Wings? After posting her interview last week, I had a few readers ask about them. Thank you for asking! I am very happy that Termina was willing to share her notes on the build. Her tutorial below is simple and effective. Enjoy! 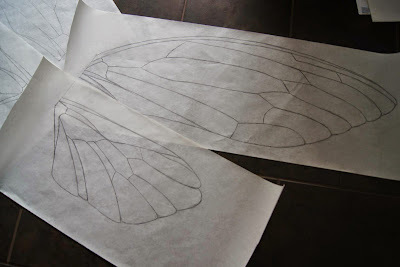 Draw out your wing pattern to full size. Cut your wing frame out of wood, sand and bevel the edges to your liking. Drill holes into the frame where the wires will connect to the wood. Working over your pattern, stick wires into the holes and glue them there. I used hot glue for this. 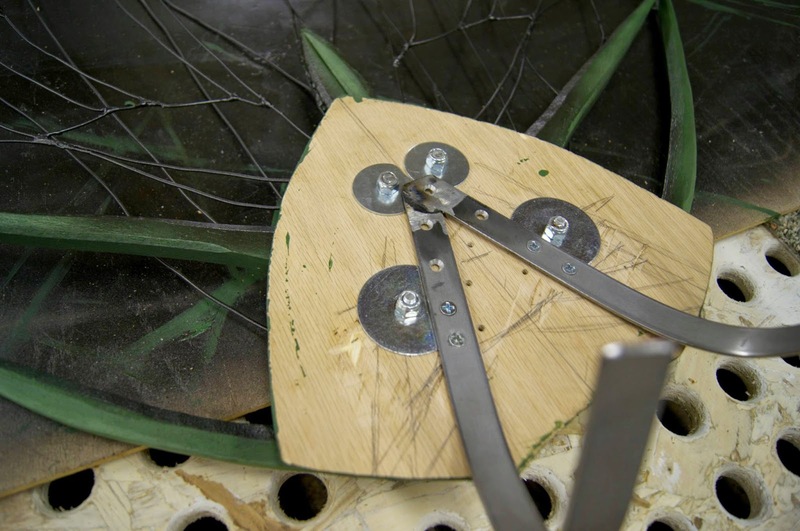 Still working over the pattern, bend wires into shape according to pattern. I also had my pattern over a scrap piece of plywood and used a staple gun to keep everything in place. 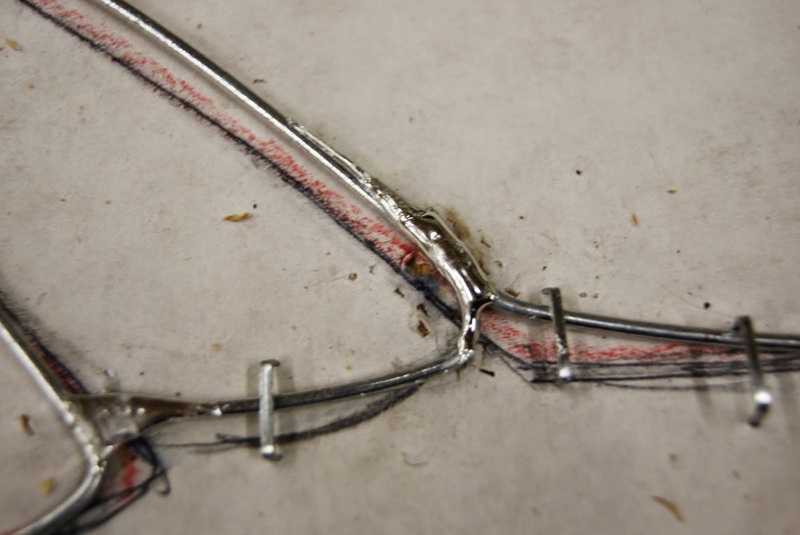 Solder any wires that touch together. 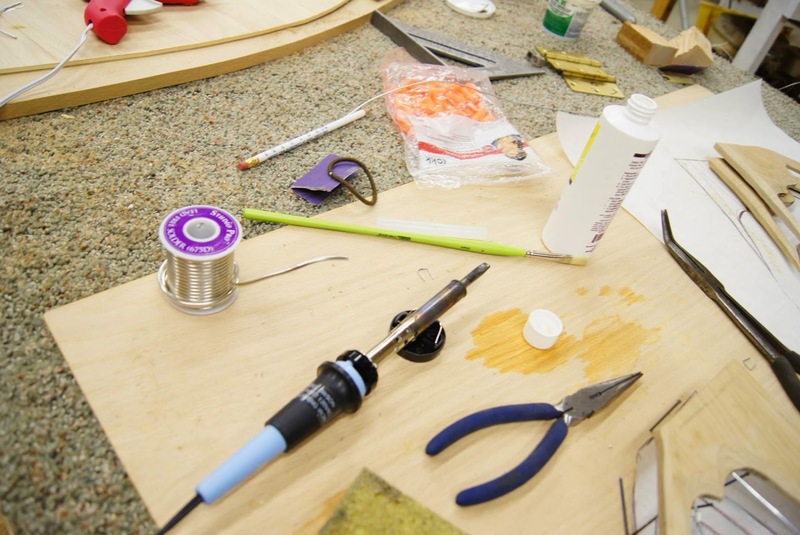 This is where your soldering iron, solder, and flux comes into play. Paint your wires if you want them to be another color. I used a black spray paint. 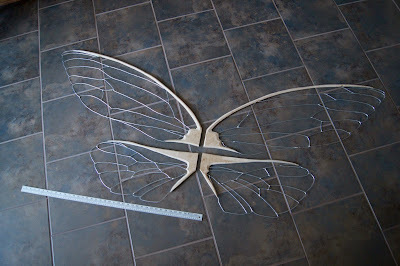 Paint the frame of your wing. I used regular green acrylic paint for this. 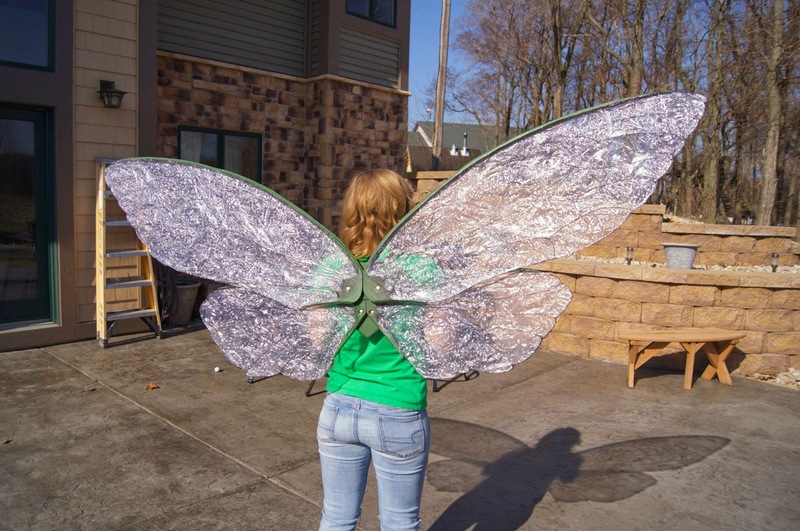 Take a large sheet of cellophane and use the heat gun or hair dryer to crinkle it. Make sure you have more than enough to cover both front and back of a section of your wing, the cellophane will shrink a lot when you do this. Repeat for each wing. 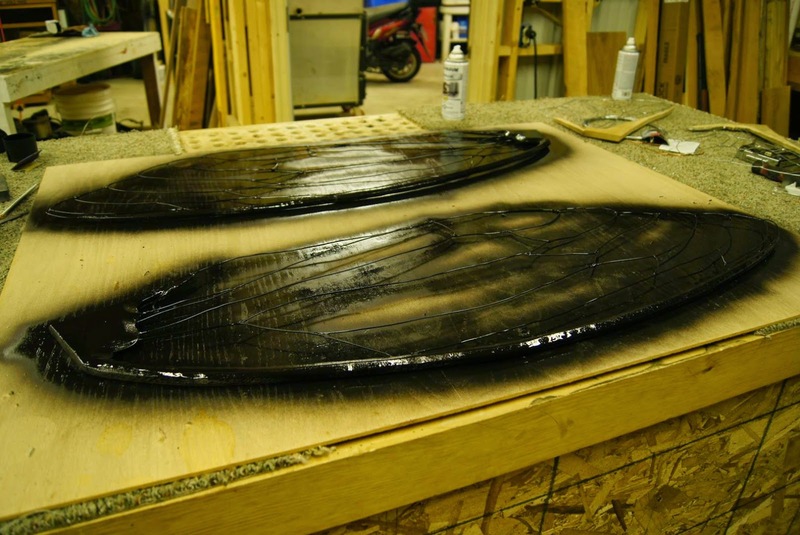 Spray the front and back of your wing with spray adhesive, follow spray adhesive instructions. Make sure you are using a VERY strong adhesive. 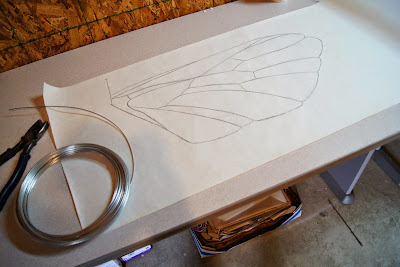 Place your wing down on the crinkled cellophane and wrap the cellophane over to the other side. Press cellophane down on both sides of wing to ensure that it bonds together. Let glue dry. Repeat for each wing. 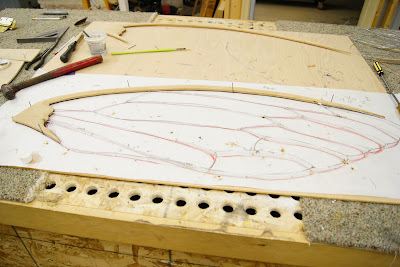 Trim the cellophane to shape around the wing. 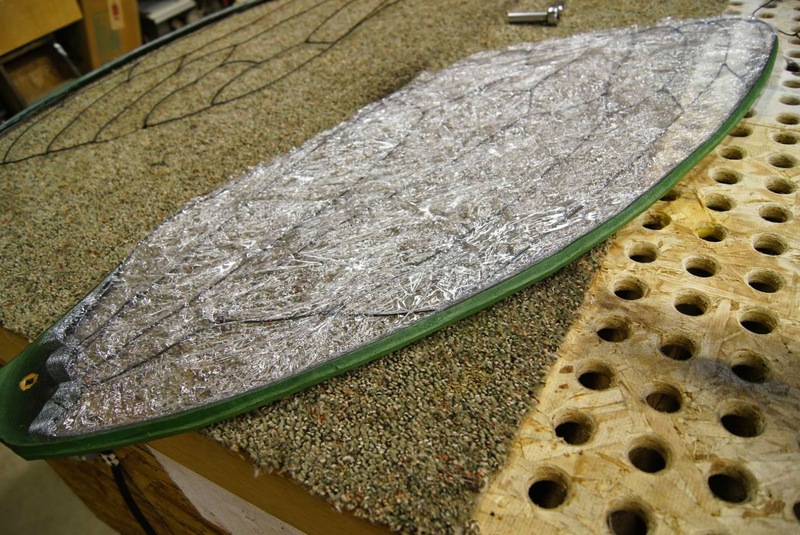 Use your stronger glue (E6000 or hot glue works well) to seal the cellophane all around the wing. This helps keep the plastic from coming apart. 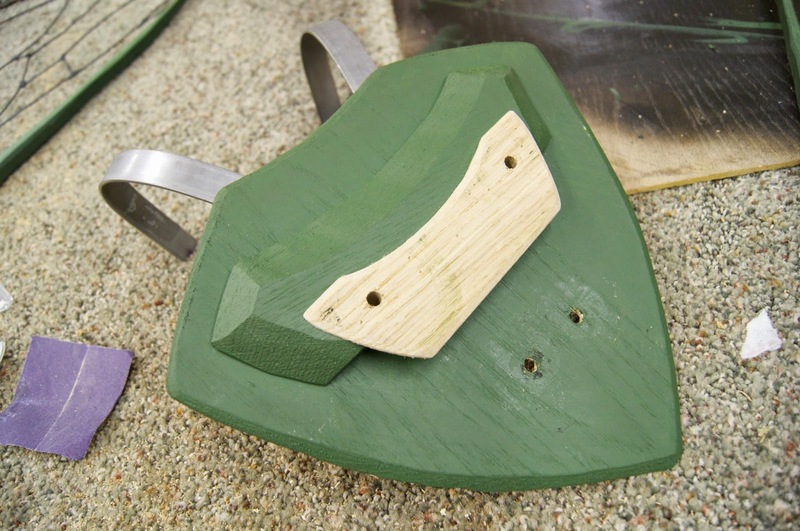 Build a back plate for the wings to bolt to. 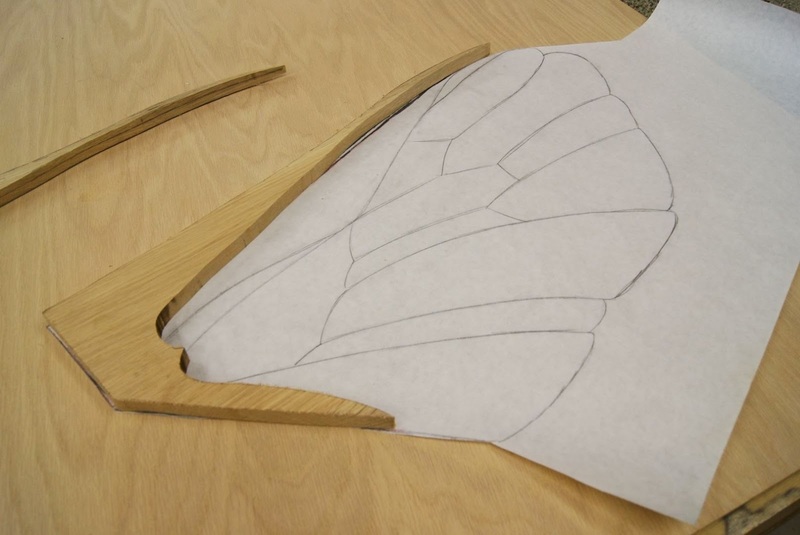 You’ll have to come up with your own design to fit your wings. 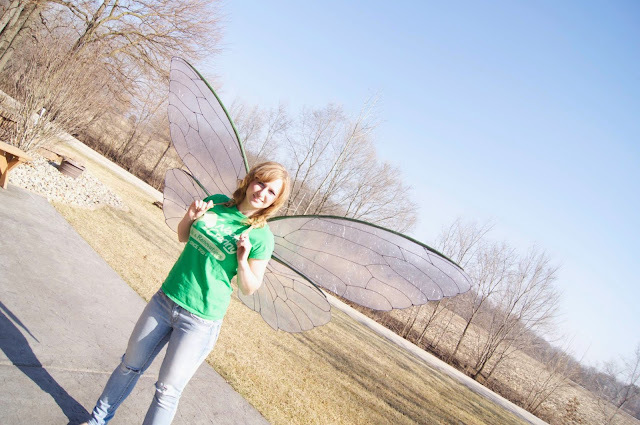 Mine was made specifically to fit me and my wing design. I used wood as the base, bolted the bottom wings to the plate, and added another piece of wood on top to bolt the top wings to, so that they could fold up and down. You can see the straps for the shoulders here and the bolts. This was covered with EVA foam for comfort. I also used EVA foam to add padding to the back and make it form to my back. 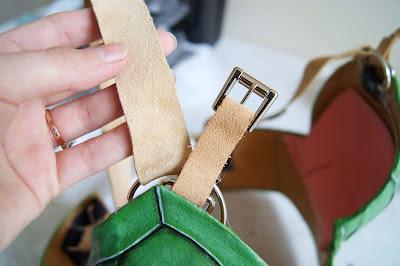 I attached metal hooks to the back plate to hook over my shoulders and attach to my breastplate in the front. I bent the hooks to form to my shoulders and attached them onto the back of the back plate before the EVA foam was added. I also used leather to make a cover for the hooks and added small belts to the covers that attach to the breastplate.